Three butterflies julia Heliconian 4k sitting on flowers moving slowly the wings. 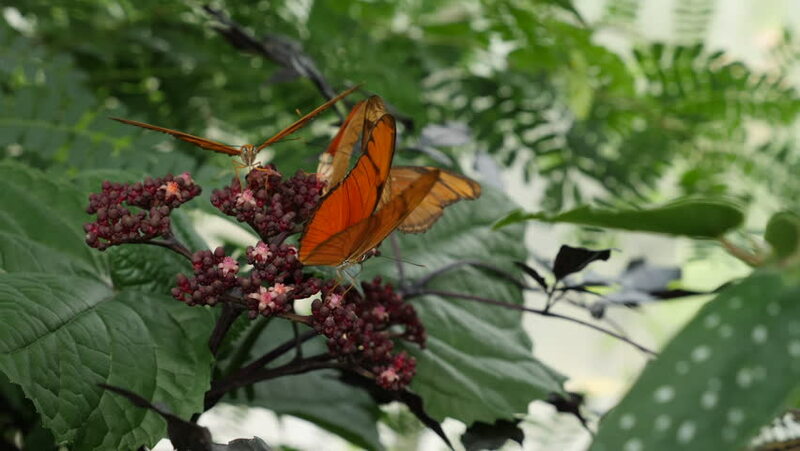 hd00:14Courtship of Postman Longwing Butterflies (Heliconius melpomene). The male is doing a fluttering display, female raises its abdomen and is ready to mate. hd00:10A close up shot where a raspberry is picked from its stem. 4k00:16Close Up of Dead Leaves on a Branch in the Forest on a Sunny Day in Summertime.